By 2005, BlackBerry brand owners RIM had been in the mobile phone market for a few years. Starting off with pagers, they then moved to simple messaging devices and then moved on to their own smartphone platform. The launch of the BlackBerry 8700 in November 2005 (as the 8700c) demonstrated that RIM had a truly mature product on their hands that had a lot of appeal to both consumers and businesses. 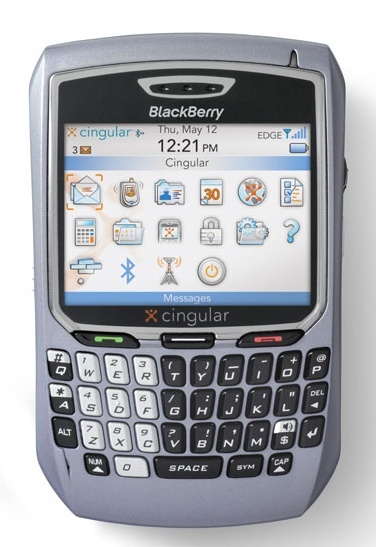 Although it featured the familiar BlackBerry QWERTY keyboard and controls, the 8700 ditched the weird but effective transflective screen used in earlier versions, and completely reworked the user interface to make it much more exciting and polished. But the improved hardware and software was only part of the story, what made everything really work well was the excellent email services that RIM offered both businesses and consumers. And a decade ago, email was far more important than things like applications or even web browsing. Variants of the 8700 appeared for many major carriers worldwide, and this smartphone helped to propel RIM to phenomenal sales growth throughout the late noughties. The problem was that five years later, RIM were still doing essentially the same thing.. despite changing trends in the industry, a mistake that nearly killed BlackBerry for good.